Abstract—Online learning becomes a popular and key role in modern education system. Comparing with traditional face-to-face learning, in online learning environment the main advantage is to create self-determination context for flexible learning. The e-decision-making refers to students’ critical thinking, analysis/solution of problems, and the operation/assistant of information and e-systems. The purpose of this research is (1) to discuss the competence of computer science students majoring should attain; (2) to establish the indicators of e-decision making competence. This research uses literature review to define the term of “e-decision making”. The analytic hierarchy process(AHP) proposed multiple criteria decision-making. In this platform, indicators creating are very importance. That is, electronic decision thinking improves the interaction between the thinking ability on issues and Information processing capabilities. This paper incorporates the concept of self-determination learning into creative learning. Information competency and information skills are employed to model the entire process of scientific invention in a step-by-step manner. Index Terms—E-decision making, on-line system, self-determination learning. P. S. Hsu is with the Human Resource Development, Ching Kuo Institute of Management and Health, Keelung, Taiwan (e-mail: pshsu@ ems.cku.edu.tw). T. J. Chang was with the Department of Industry Education at the National Taiwan Normal University, Taipei, Taiwan(e-mail: tjmax950@yahoo.com.tw). 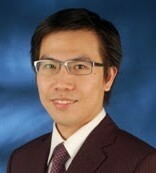 Cite:Pi-Shan Hsu and Te-Jeng Chang, "The Design Concept of e-Decision Making Competence Based Self-Determination Learning On-Line System," Journal of Advances in Computer Networks vol. 1, no. 1, pp. 49-51, 2013.